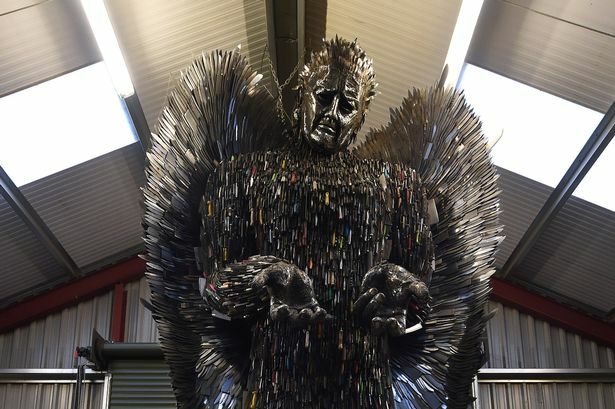 An angel sculpture made from more than 100,000 confiscated knives is heading to Liverpool this week. 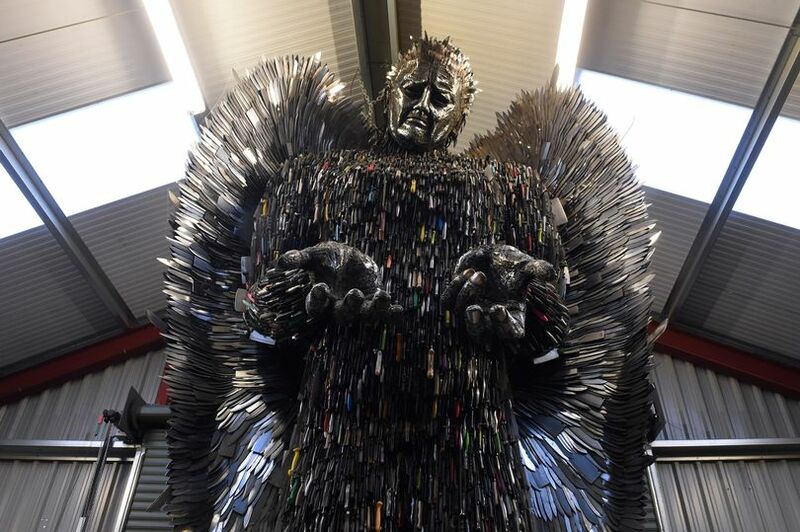 The ‘Angel of Knives’ , by artists Alfie Bradley, will be on show outside the Anglican Cathedral over Christmas. 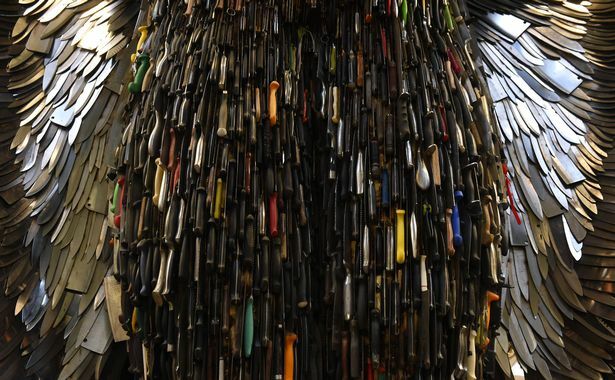 Formed from thousands of knives turned over to 43 police stations across the country, the 27-foot-high sculpture will raise awareness for knife crime and the #NoMoreKnives campaign in the city. The sculpture, which took over a year to build, has been at the The British Ironwork Centre for two years. It was thought that when moved the sculpture would head to London, however, Liverpool Cathedral can now confirm it will be getting the artwork on Thursday, November 29 until January, 31, 2019. Dr Sue Jones, Dean of Liverpool said: "Sadly scarcely a day goes by without hearing another tragic story of knife crime. 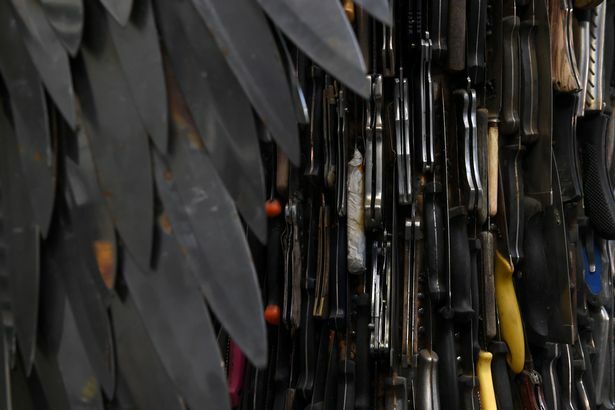 Through hosting the Knife Angel at Liverpool Cathedral we want to show solidarity with the victims of this crime and make a powerful statement to everyone who comes to visit. "As people encounter the artwork, we hope this helps them make sense of the issues it raises by coming in, lighting a candle or reflecting in one of our chapels. We will continue to pray for peace in our city and beyond. "As well as standing alongside all those affected by knife crime we want to urge those who carry knives to recognise the pain they cause themselves and others as we work to a day when we truly see peace in our streets." One of the people who has helped get the Knife Angel to Merseyside is Rob Jackson, a nurse at the Royal who has spent years educating young people in schools about the dangers of knives. Taking to Facebook to announce the news, Rob said: "I had the idea to get the Angel to the cathedral for Christmas about seven weeks ago and I have since morphed into a cross between Anneka Rice and Nick Knowles from DIY SOS. "There are many people to thank for their support in achieving this." Rob went on to thank the team behind the Knife Angel concept and Everton FC in the Community who has helped fund the project. He added: "Finally to the small but amazing group of gents that have formed our Knife Angel committee and working group, Jamesy, Dave Mcmillan and Dean. "Well done all, this is going to be epic and I'm so honoured that you've all got on board to work with me and get this finalised."